It’s that time of year again, time to start getting ready for upcoming CARB (California Air Resources Board) Regulations deadlines. There are three important deadlines for drivers of commercial vehicles to be aware of: the TRU deadline at the end of the December, and two Truck and Bus deadlines, one at the beginning of January and one at the end. Below, a review of each of these regulations along with the important deadlines for carriers to mark in their calendars. 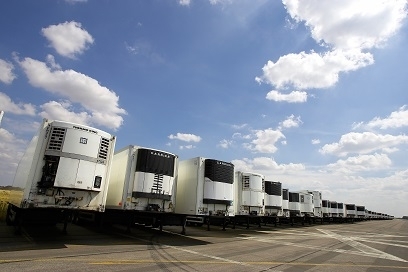 The TRU (Transportation Refrigeration Unit) (or, “reefer”) regulation applies to in-use diesel fueled TRUs and TRU generator sets that operate in California, whether they are registered in or outside the state. It requires all TRUs and TRU generator sets that operate within the state to meet in-use performance standards by the end of the 7th year after the engine model year or the unit manufacture year. Any California-based refrigeration units are required to register with CARB within 30 days of obtaining a new unit. In addition, California terminal operators that operate TRUs are also required to provide updates to ARBER (Air Resources Board Equipment Registration) within 30 days of changes to any information within their Operator Reports. 2005 & Newer N/A December 31st of the model year + 7 years. All 2003 engine models that previously met the Low Emission TRU Standard back in 2010 must now meet the Ultra-Low Emission TRU Standard. This regulation applies to any diesel vehicles with a gross vehicle weight rating that is greater than 14,000lbs. These vehicles can be privately or federally owned trucks and buses that operate in California. It also includes any person, business, school district, tribal reservation, or government agency that owns, operates, leases or rents these types of vehicles. However, there are a few vehicle exemptions under this regulation. The following vehicle types are exempt: gasoline or dedicated natural gas vehicles, solid waste collection vehicles, public agency/non-federal utility vehicles, drayage (port or rail) trucks, transit/urban buses, and personal use motor homes or recreational vehicles. This regulation requires all diesel truck sand business that fit the criteria above to reduce exhaust emissions by meeting particulate matter (PM) filter requirements, and upgrade to 2010 model year or newer engines. All light vehicles with Engine Model Year 1998 need a 2010 or newer model year engine. The 3rd truck in fleets following the Small Fleetprovision must meet compliance requirements. Reporting deadline if you have previously reported for the fliexbility option (vs. the phase in option), you must re-claim this option for 2018. Reporting is required for anychanges to the fleet. Updates should be made within 30 days.